The Tower is top notch but the other buildings are too – this square has one of Europe’s greatest groups of Romanesque buildings. They trace life’s path for medieval people from birth to death and the whole square is a UNESCO World Heritage Site – why would you not want to linger here? It is beautiful – sparkling white buildings and vivid green grass. Tons of tourists around but actually it really didn’t feel too crowded for us. You can easily spend a couple of hours here, just mooching around the square and the buildings. It is free to go inside the cathedral – there was a service going on during our visit so we were restricted to the area at the back, but it is very impressive. 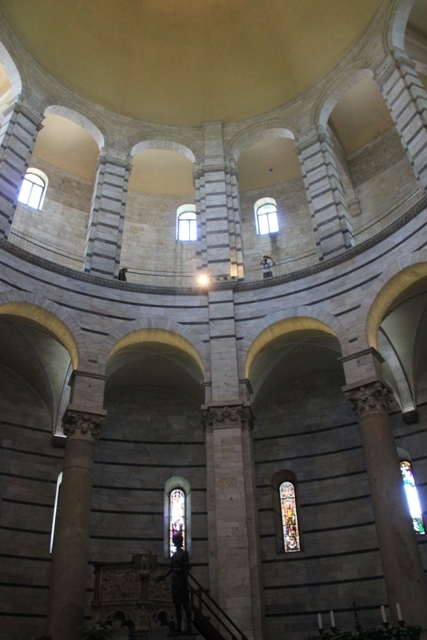 Our ticket to climb the tower also included entrance to the Baptistery – probably my favourite building in the square. Gorgeous from the outside – big, round with white marble inlaid with greenish black marble, inside it is calm and sacred. We found the huge font where baptisms were performed and the marble pulpit with beautifully carved nativity scene. There are 77 steps to climb to the upper level – let’s just say having climbed to the top of the tower, Son was not exactly bursting with enthusiasm about this but perked up when I reminded him these steps were not at an alarming tilt. There is a little area upstairs with “cut out” mesh where you can get a great view of the Leaning Tower and the cathedral. 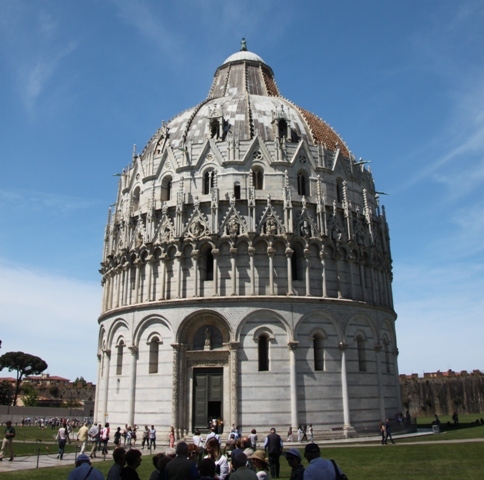 There is another treat in the Baptistery – every half hour the ticket checker from the entrance comes inside. A hush descends and he shouts out a few sounds. When they echo round and round the circular building the echo effect creates an amazing sound – like beautiful music. I have never experienced anything like this before – unmissable and remarkable. Son was seriously impressed with this (we all were) and actually wanted to stay to hear it again half an hour later – that says it all really. Inside the Baptistery a handful of people listened, it was not at all crowded, what a treat most tourists seemed to miss – if you visit this square make sure you hear it! It is very beautiful – glad we got the chance to spend some time there! It really is – pictures can’t do it justice, the reality is even more impressive. Most pictures tend to be from the front I think – it’s nice to see it “peeking” out from behind the cathedral. 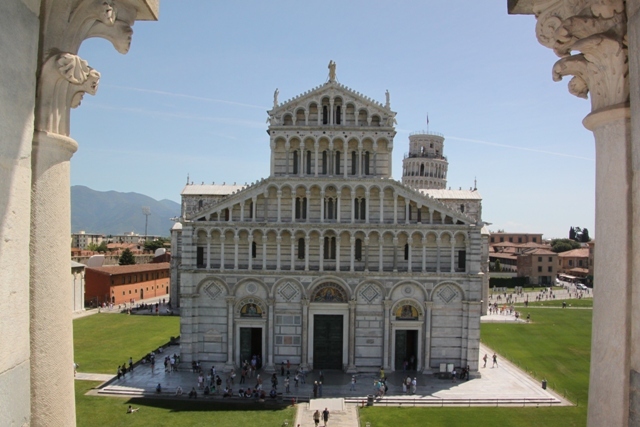 This sounds amazing – I didn’t get to Pisa the last trip to Italy but I think I need to add it to my wish list. You really hit on the difference between being a tourist and being a traveller here. Less rush and more observation can yield terrific experiences. 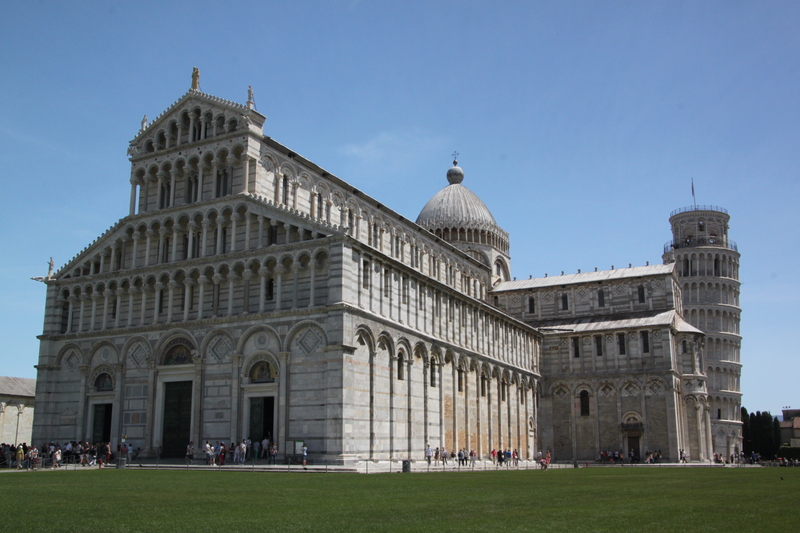 So true, I am really glad we stayed in Pisa to be able to have the luxury of time – there really is so much to see and take in. We visited some years ago and had one of those rushed experience so I wanted this visit to be different. It’s a shame most people overlook these other gorgeous buildings and come away feeling Pisa is a bit second rate. It definitely is Rosemary. The Baptistery was so amazing and the other buildings are incredible, well worth lingering in this square. Gorgeous photos! Thanks for sharing, looks like a stunning place to spend an afternoon. It really is Anna. Such a shame most people quickly have a look at the Tower and dash on elsewhere. We loved lingering here, sitting around on the grass and just taking in the whole atmosphere. Beautiful photos! It sounds like an amazing place. I’ve never been before, but want to add it to my bucket list. Thanks for sharing! It is such an incredibly beautiful group of buildings – you couldn’t take a bad photo if you tried. We were so wowed by the whole experience, you should definitely add it to your list Caryn!! It wasn’t on our “list” but having visited I realise it definitely should have been!! It’s such a special place, we all loved it. It is so beautiful I don’t think you could ever tire of it!! Lovely. 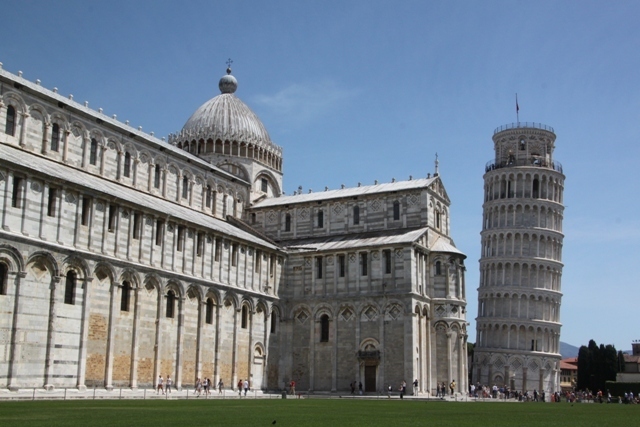 We skipped Pisa this time in Italy. Tuscanny is to me the epitomy of Beauty in architecture and art. Totally agree – Tuscany is amazing, I love it too!! Have a great weekend Brian.